Summary: It’s difficult to come up with an insect category that doesn’t have its own section in this oversized book. Beetles, praying mantises, flies, crickets…they’re all there, as well as a few non-insects like spiders and snails. 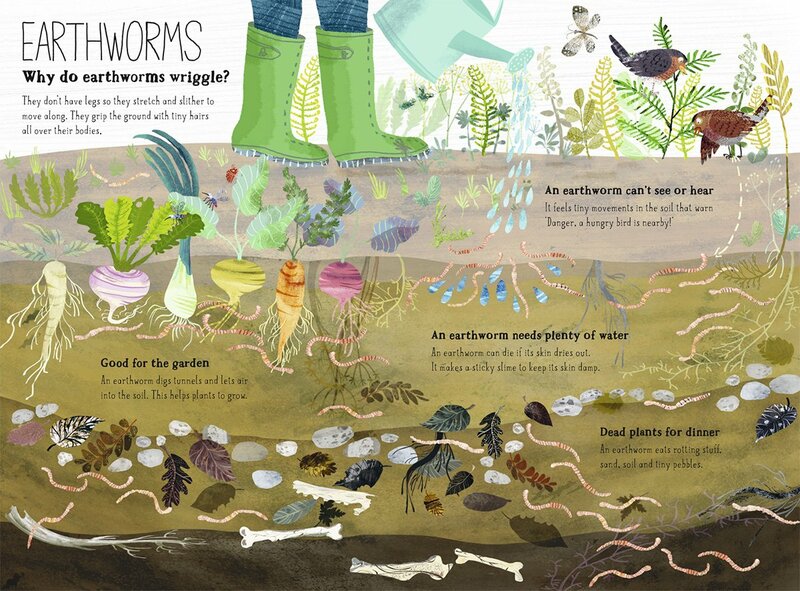 Each two-page spread has several facts and detailed illustrations. Some pages contain an “I Spy” type challenge, such as finding 29 moths, two praying mantises eating dinner, or a family of silverfish. There are also sections on baby bugs, bugs on the move, house-loving bugs, bugs at work, and bugs in your garden. The last several pages include answers to the challenges, an illustrated glossary (“Bug words”), and an index. 64 pages; grades Pre-K-2. 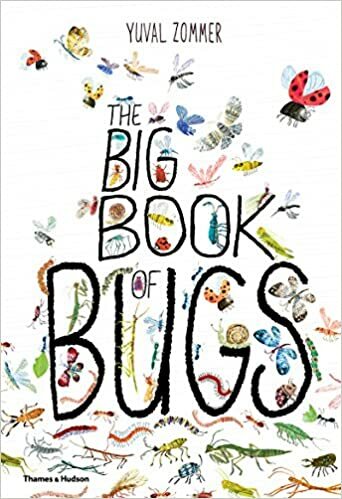 Pros: Anyone with even the slightest interest in insects will find a lot of interesting facts here, as well as have the opportunity to see the beautiful Eric Carle-like illustrations of all the different creatures in their natural habitats. The wealth of information and attractive pictures might even be able to help the squeamish overcome their trepidation around creepy-crawlies. Cons: This is indeed a big book—almost 14 inches tall—so you may need some special accommodations for library shelving.